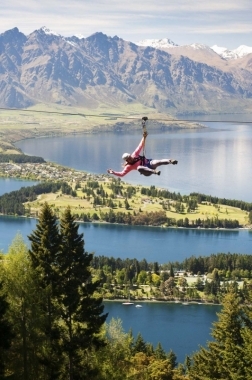 Ziptrek Ecotours, Queenstown, Otago. Information, Photos and Reviews. Fully Guided Tour With 2 Professional Guides With You At All Times. Small Personalized Groups Of Up To 10 People. Hats And Gloves Are Supplied In The Winter Months To Keep You Warm. 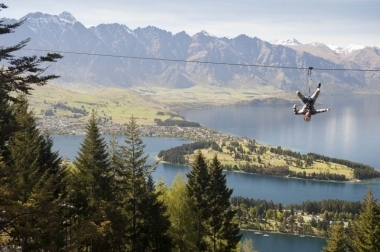 Ziptrek Ecotours is NZs #1 original zipline tour and is a spectacular and exhilarating eco-adventure through the forest canopy high above Queenstown, situated on Skyline Gondola hill. 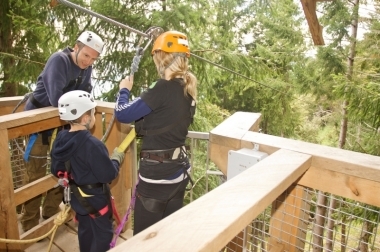 Harness up and feel the wind in your face as you Zip down breath-taking ziplines which traverse down the mountain tree to tree. 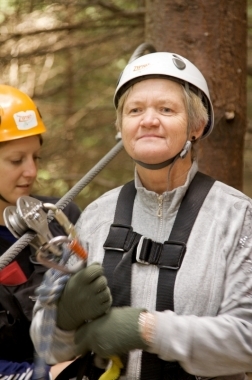 With two courses to choose from it is suitable for everyone and operates all year round in all weather conditions. 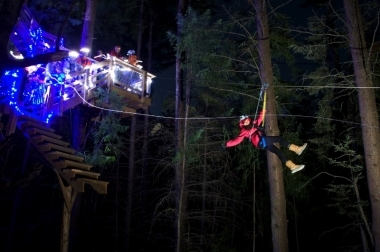 Kea 6-Line Tour : Faster, longer and finishing with a zipline that descends 30 storeys at speeds of up to 70kph, the Kea tour is a unique way to get down the mountain. 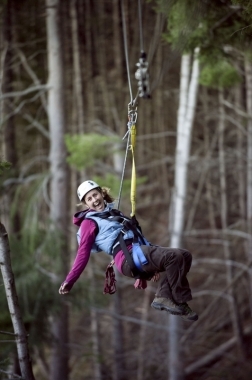 This stunningly beautiful guided journey through ancient native beech forest comprises six breath-taking, tree to tree ziplines with outstanding alpine vistas; returning you to the bottom of the gondola hill on a total high. 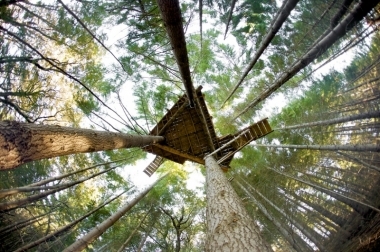 - Tours depart in all weather conditions - you stay reasonably sheltered from the elements in the tree canopy. 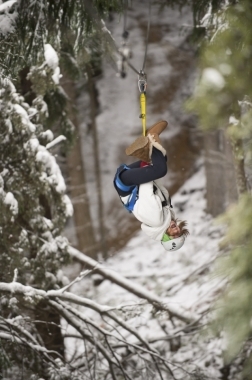 - Extra clothing layers are essential. In winter hats and gloves can be provided. 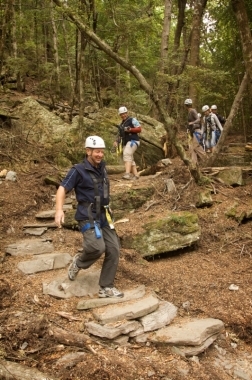 - You must wear comfortable, closed toe shoes suitable for walking along an alpine forest trail. - Weight limits are 30kg - 125kg. 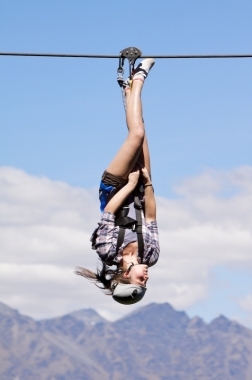 Children under the weight of 30kg will possibly go tandem with one of our trained guides on the Moa tour only.